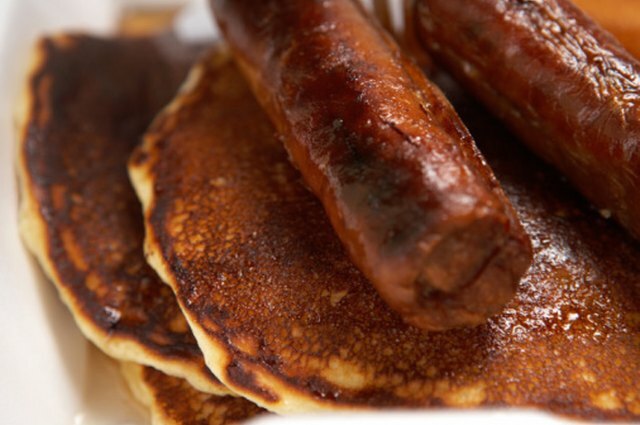 Delightful at any time of the day, sausages fry up easily to provide a delicious meal. 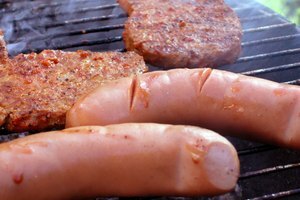 Although sausages may contain a variety of different ground meats, including pork, beef and turkey, they all contain a measurable amount of seasonings to make them zesty and tasty. Cook sausage in a pan -- the pan-frying method will produce tender sausages on the inside with a crisp and flavorful outer casing. 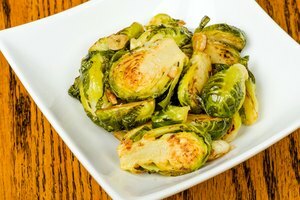 Place the frying pan on the stovetop and cover the bottom of the pan with about 1/4-inch of water. Puncture each sausage two or three times with the tines of a fork and place the sausages into the pan. Piercing the sausage casings allows the sausage juices to flavor the cooking water. Turn the burner to medium and cover the pan. Cook the sausages for about five minutes. Remove the lid and rearrange the sausages gently with the spatula. Flip the sausages over to brown the other sides. Cover the pan again. Cook the sausages until the water disappears and the casings lightly brown -- approximately 10 to 15 minutes. Check the inside of a sausage for doneness. Remove one sausage and cut into it to see the center. As long as the center is no longer pink, the sausage is fully cooked. Turn off the burner and keep the sausages warm in the covered frying pan until you are ready to serve them. 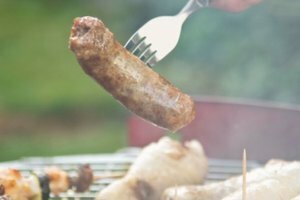 According to the USDA Food Safety Inspection Service Sausage Fact Sheet, raw sausage must have a label that informs the consumer of the cooking process required before eating the sausage. 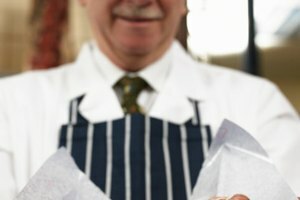 Check the label of your sausage for specific cooking recommendations.